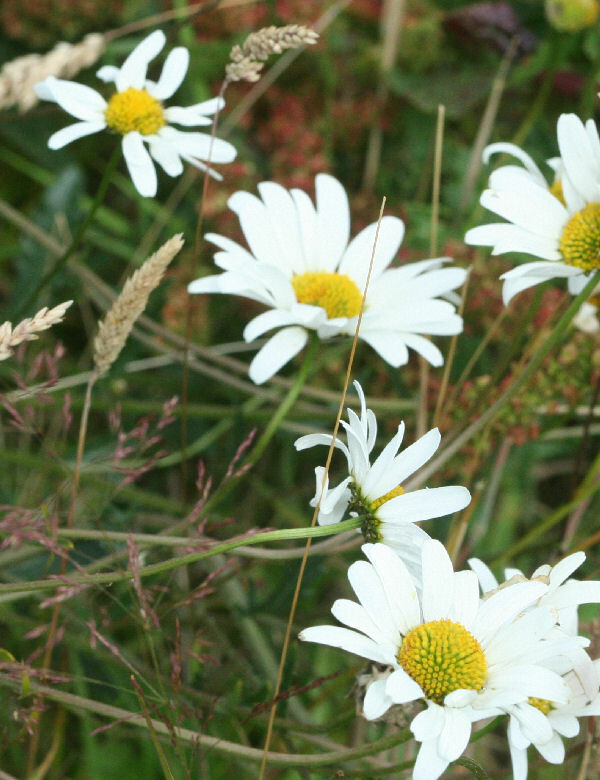 Tall white daisies with a yellow centre in midsummer; nectar for butterflies, bees, hoverflies and other beneficial insects. This really is a UK wild flower and looks great with grasses, poppies, cornflowers etc. 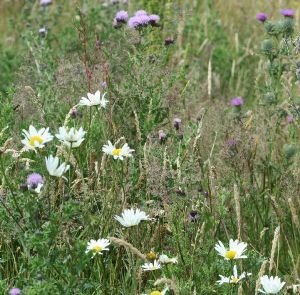 in a wildflower meadow. Sow in autumn or spring in seedtrays and pot on til good sized plug plants before planting out in a field.